Posted by Bravado Cooking for Men in Classic American Dishes, Classic Salads, Recipes. After WWI a young Italian named Caesar Cardini emigrated to America and settled in San Diego. He worked in hotels and restaurants while he learned English. 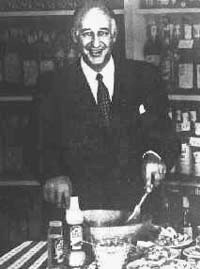 But, Italians have something in their DNA that prompts them to get into the restaurant business, so he opened a restaurant in San Diego in 1923. The restaurant business wasn’t easy in those days, or did we forget that in 1920, the 18th Amendment to the U.S. Constitution was passed and the country entered the era of Prohibition. Young Caesar wisely spotted this as an opportunity, and he opened a restaurant in Tijuana – 15 miles south of San Diego, but across the border and free of rules about alcohol. 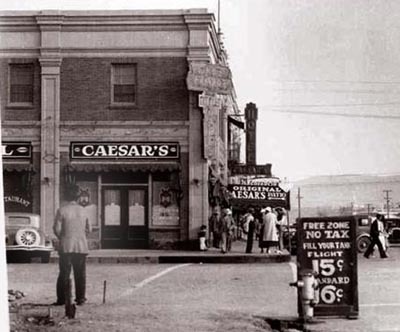 He opened Caesar’s Place in 1924 and later Caesar’s Café and finally Hotel Caesar’s, which still exists today. There is a great story about how this recipe came into being. Supposedly, on the 4th of July, 1924, Caesar’s Place was packed all day and they started running out of food. 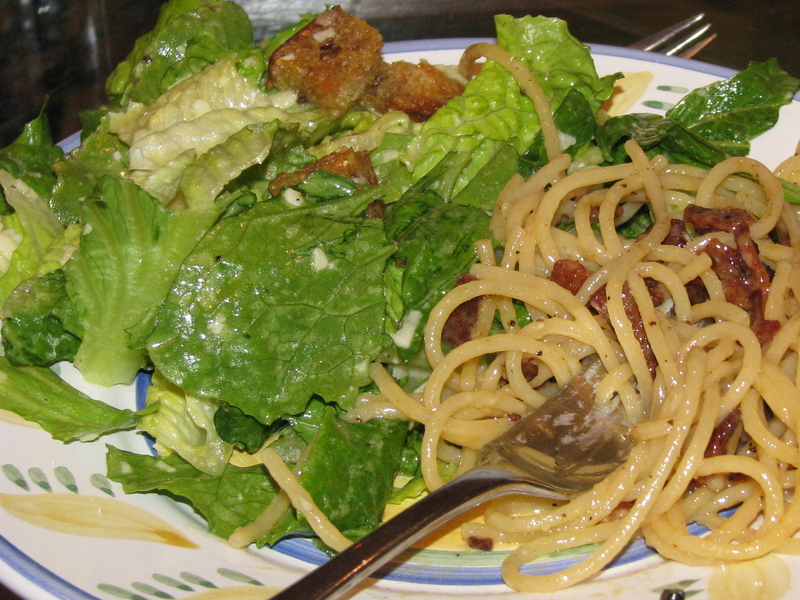 Salad is an important part of Italian cuisine and Sr. Cardini’s vendors had failed to make deliveries. He was down to some Cos (Romaine lettuce) – no tomatoes, celery, peppers or anything resembling salad ingredients. But, in true Bravado spirit he quickly invented his “special salad” using the few things that he did have. He prepared the dish at tableside with great flair and nobody noticed the paucity of traditional salad materials. And now, eighty-eight years later, it is the most served salad in the U.S. Don’t you love it! 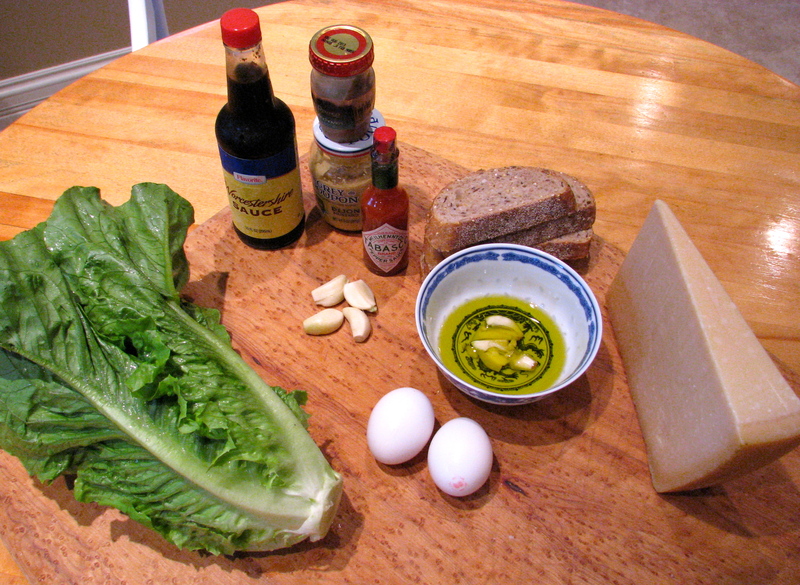 If you think about it, Caesar salad is incredibly simple in terms of the basic ingredients – lettuce, olive oil, garlic, eggs, toasted bread croutons and Parmesan cheese. Add some anchovies and a few spices and you have a dish that would be on anyone’s list of American classics. Caesar Cardini’s establishments were frequented by many well-known American movie stars, and even Julia Child was taken there by her parents in the 20’s because she had to try “that salad”. Caesar died in 1956 and the Hotel limped along and was completely closed down in recent years due to the drug violence in Mexico. As part of President Calderon’s anti-drug war, Tijuana and its famous Avenida Revolución have been rejuvenated and Hotel Caesar’s was rehabilitated and re-opened in 2010 by the Placencia family. (demotix.com/news/402447). This is a fun dish to prepare with someone else. The prep time – cleaning and breaking the lettuce, grating cheese, making homemade croutons – goes more quickly with someone else helping. If he or she is a special person and is opening a bottle of wine to start the process, all the better. Take the time to make your own croutons – they will be fresh and warm and everyone will ask how you did it. Be true to tradition and make the salad at tableside in front of your guests while you recount the story of a young Italian immigrant in the 20’s during Prohibition. There is something magical about telling stories about the history of classic dishes – maybe it’s a placebo effect, but the food tastes better to everyone. 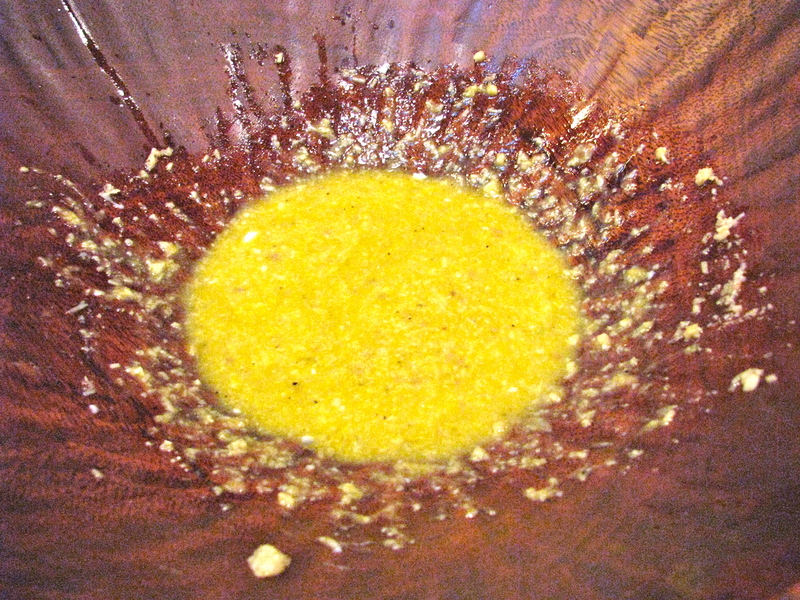 Smash two of the garlic cloves and put into a small bowl to which you will add ¼ cup of olive oil. Let the mixture sit for 15 minutes. You will use this to baste the croutons. Take the smashed garlic cloves and rub on a baking sheet. Add some of the basting oil so it is well greased. Cut the bread into 1/2” cubes and put them on the baking sheet. If the crust is heavy, remove before cutting the cubes. Using a brush, baste the bread cubes with the olive oil. Bake for 12 minutes or until toasty brown. 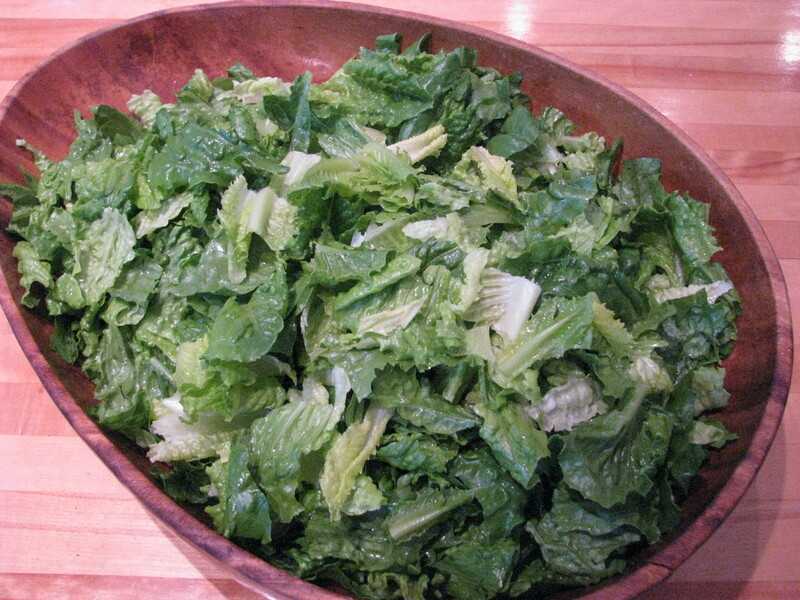 Break apart the leaves of the Romaine lettuce, wash and let dry in a dish drainer. You should be able to easily stack them vertically. When dry, break the leaves into bite size pieces, discarding the thick spines. Put into an open plastic bag or other container and keep in the refrigerator until ready to serve. Finely mince the remaining four cloves of garlic and put into a plastic container to which you will add ½ cup of olive oil. Cover and let sit until you are ready to serve the salad. Just before serving, coddle (put in boiling water) the two eggs for exactly one minute. Make sure you have a large, round, deep wooden bowl and all of the ingredients on hand. You will also need a fork, a whisk and salad mixing/serving spoons. Put the mustard and chopped anchovies in the bowl and mash well with a fork to create a paste. Take your time – tell everyone this is a slow, precise process – tell everyone the story of Ceasar Cardini and that fateful 4th of July. Add the olive oil and garlic mixture, the two coddled eggs and the Parmesan cheese, keeping back about ½ cup of the cheese for a final topping. Whisk well until the mixture is very creamy – about thirty seconds. Cut the lemon in half, insert the fork into each half and squeeze the juice out. This should be done with some degree of Bravado flair. Whisk well. Add one tsp. of Worchestire sauce and three or four dashes of Tabasco sauce. Throw in a good pinch of salt and some ground black pepper. Add the Romaine lettuce and the croutons and toss well (Don’t forget the croutons!!). Plate and add a spoonful of Parmesan cheese to each serving. Pass and enjoy. I know you have had this dish in the past, but it is nothing compared to this authentic, homemade version. There is also something magical about preparing the dish at tableside, just like Caesar Cardini himself. Follow this up with a Spaghetti alla Carbonara or Pasta Bolognese and you will really have a winner. Try this variation on the croutons: Take one-half of a baguette and break the croutons with your hands. You want to end up with irregular surfaces. Prep as described above, but sprinkle about one-half cup of grated Parmesan on top before you bake. You will end up some great crusty and cheesy croutons.